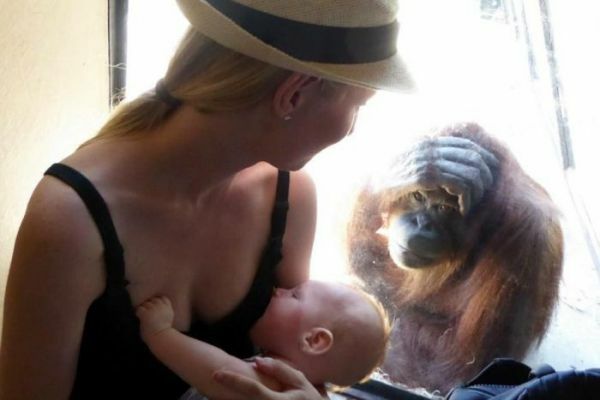 A nursing mom caught the attention of a few on-lookers recently at the Melbourne Zoo in Australia. The surprising part is the on-lookers were two orangutans on exhibit at the zoo. Mother-of-two Elizabeth was at the zoo with her family over the weekend to celebrate her older child’s third birthday. Her three-month-old son became hungry so she found a private area within the zoo to begin to nurse him.